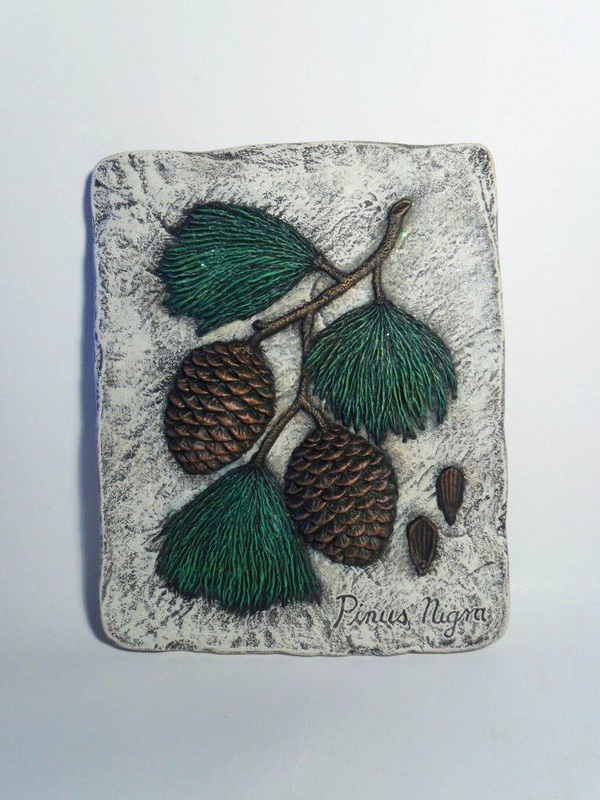 Beautiful and detailed hand painted ceramic pine cone stepping stone or wall hanging. Hand painted and ideal for either hanging on a wall indoors or outdoors, or laying in your garden for that colourful stepping stone look. Item is weatherproofed however is decorative - do not actually step on this stone as it is made from ceramic and could break. Customized colours available, please indicate if there is a preference. **This item is hand made from start to finish in my shop. 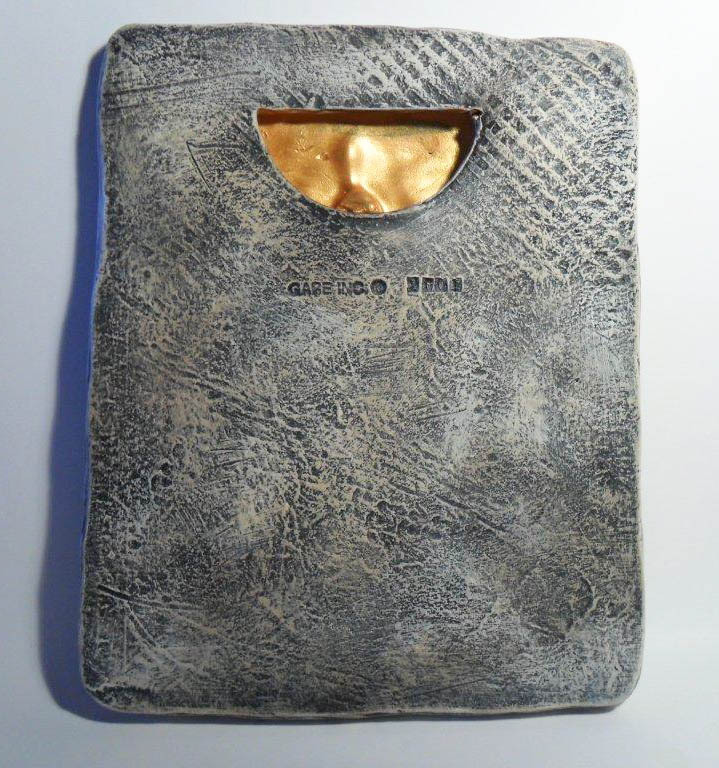 We pour the mold, sand the item of any imperfections, fire in one of our studio's kilns. 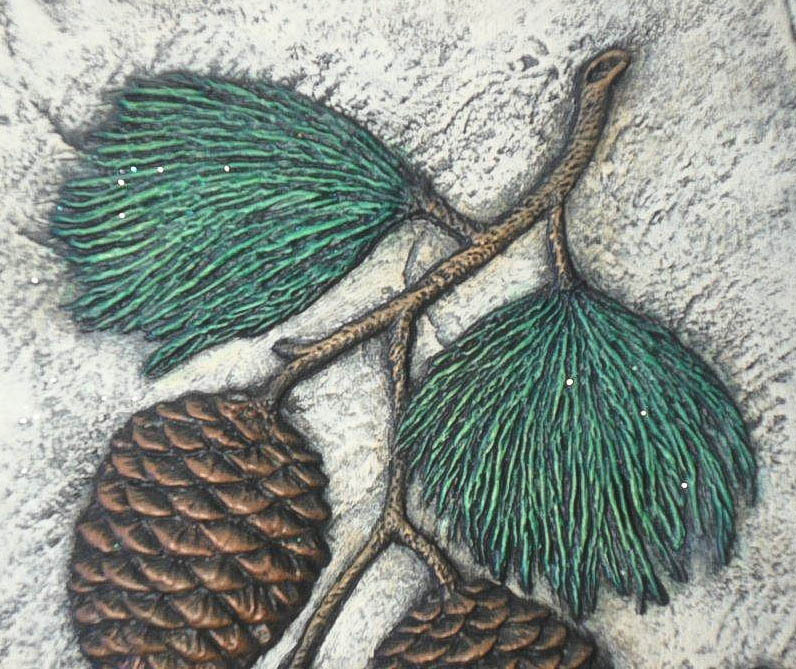 Finally I paint the stepping stone using a dry brushing technique with acrylic paints, which adds a highly detailed, textured and realistic look. 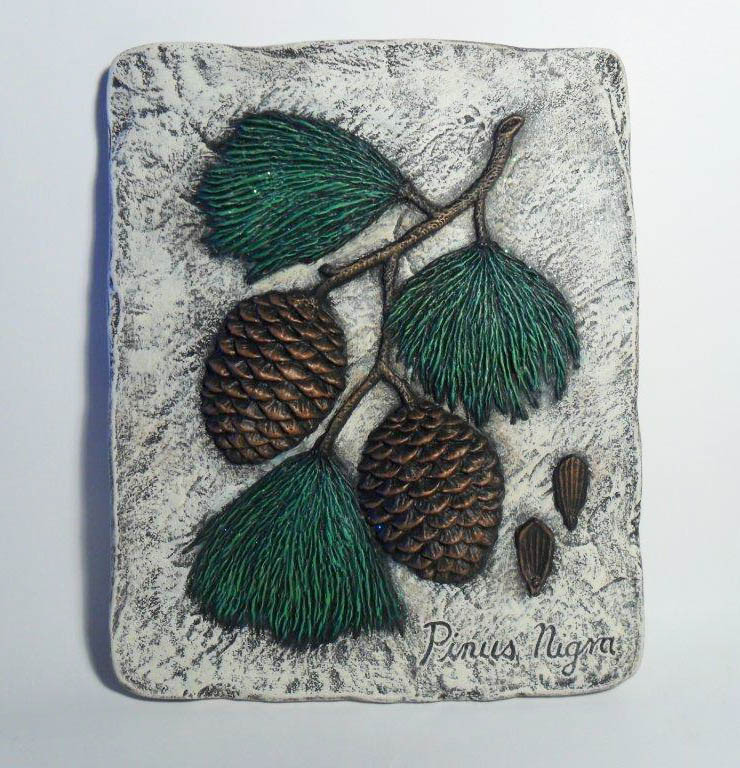 The pine cones have a touch of glitter and are highlighted with bronze colouring Lastly, the piece is finished with a waterproof sealant.